Everyone knows that it is against the law to steal another person’s credit card. However, not everyone realizes that there are many other types of credit card “theft” that are also prohibited by law. For example, you might have obtained someone else’s credit card when it was mistakenly mailed to you. Perhaps you didn’t think that it was that big of a deal. Unfortunately, you could now be in a lot of trouble for not immediately reporting the credit card as lost or stolen. That’s because New Jersey prosecutors take theft crimes involving credit cards very seriously. Whether you have been charged with Credit Card Theft, Credit Card Fraud, or Forgery, it is imperative that you speak with a lawyer immediately because the penalties can be severe. The Tormey Law Firm is a criminal defense team with highly skilled lawyers who thrive in the courtroom. We have successfully represented numerous clients accused of theft offenses in Maplewood, Fairfield, and everywhere else in Essex County, NJ. Our litigation team includes a former county and municipal prosecutor, which gives us a major advantage because we are able to anticipate the prosecution’s strategies in your case. We are also tenacious advocates outside the courtroom, which allows us to more effectively negotiate settlements and plea deals. Call the Tormey Law Firm now at 201-654-3464 to discuss your Credit Card Theft charges and learn what your next step should be. If you had the cardholder’s consent to possess the credit card, it might be possible to get your Credit Card Theft charge dismissed. However, Theft by Extortion laws could apply if you obtained the cardholder’s consent through any kind of force or threat. Additionally, the law presumes that you did not have consent if you were in possession of two or more credit cards issued to different people. 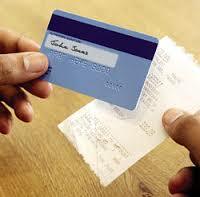 Most Credit Card Theft offenses are classified as fourth degree felonies. 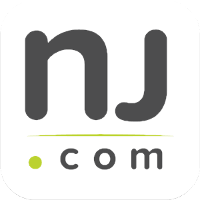 If you are convicted of fourth degree Credit Card Theft, you could be sentenced to up to 18 months in NJ State Prison and fined as much as $10,000. Keep in mind that a Credit Card Theft conviction will show up on your permanent record. This could cause serious problems for you down the road because potential employers will see that you have been convicted of a crime of moral turpitude. The attorneys at the Tormey Law Firm will aggressively represent you and do what it takes to win your case in the courtroom. Call us now at 201-654-3464 to discuss your Credit Card Theft charges, or fill out the online contact form to schedule a meeting at our Newark office.